Just ahead is where all of the wind got knocked out of our sails. 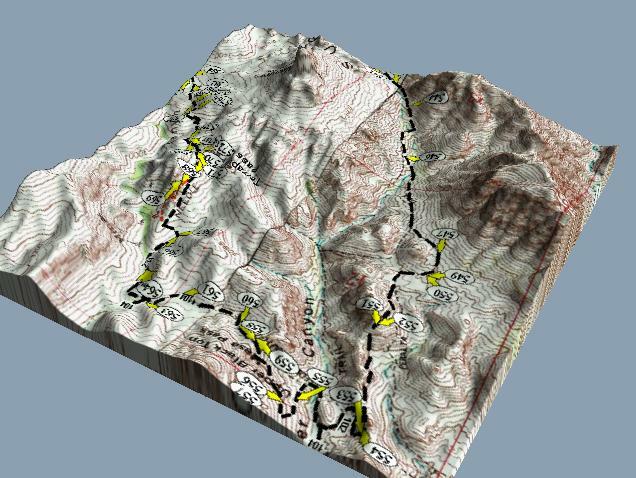 It was a relatively short section of trail and looked deceptively easy on the map. 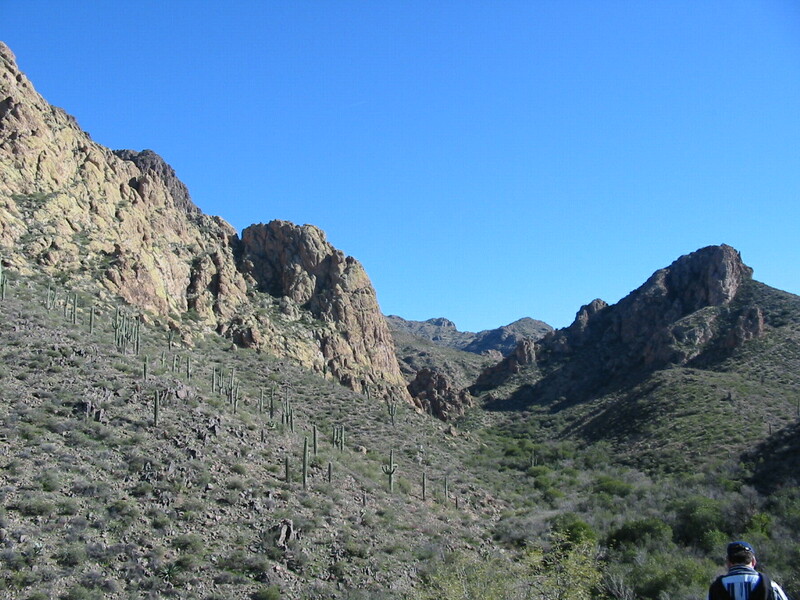 The trail in this picture is supposed to go through the valley to the right then start up the closer hill to the left a little then around to the right of the bigger hill in the center in the picture. 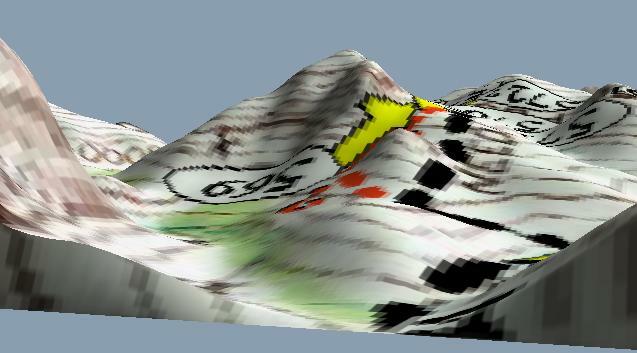 This is shown in the 3d map extract shown approximately from the same point of view in the picture below. Terrapin pass is behind the center peak. I can't be sure anymore after the fact but it is possible that we went a little to far to the east (shown by the red dashed line) before coming up the hill. That would have made the climb much harder. In any event the whole hill was way more work than anticipated from looking at the map before the hike and set back the estimated completion time of the hike by at least a half-hour. 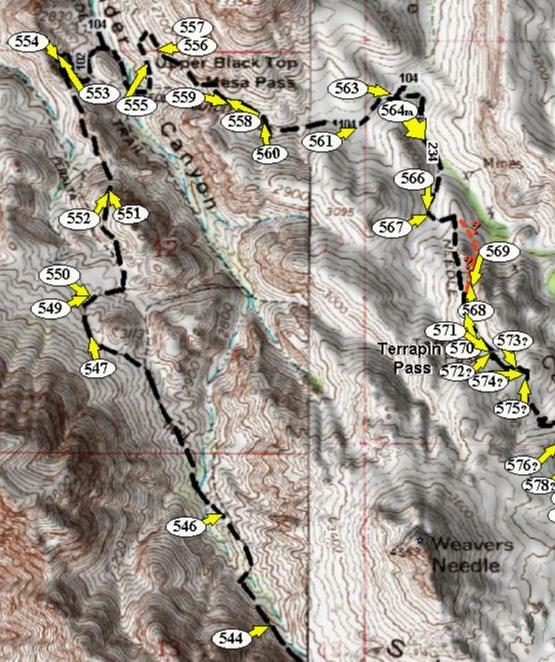 The margin had now been totally eroded with my estimate of the hike completion time being right at sunset. 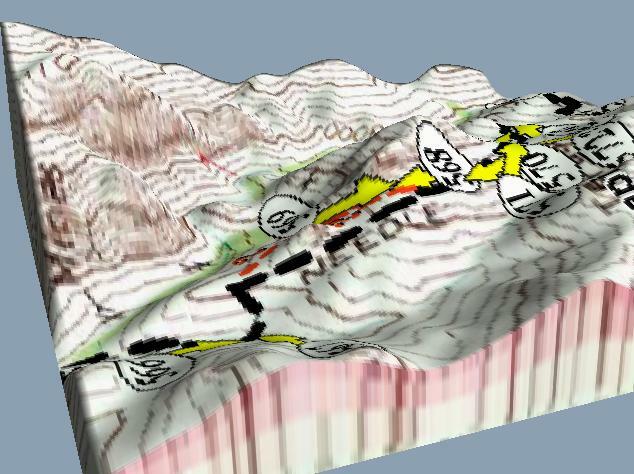 The two 3-d views below show the same area as seen from a point high above the ground looking towards the southwest. 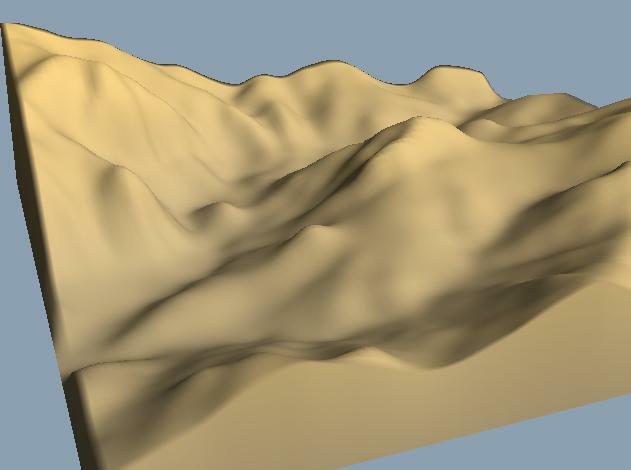 The bottom picture is the same terrain as the top except without the superimposed map overlay. 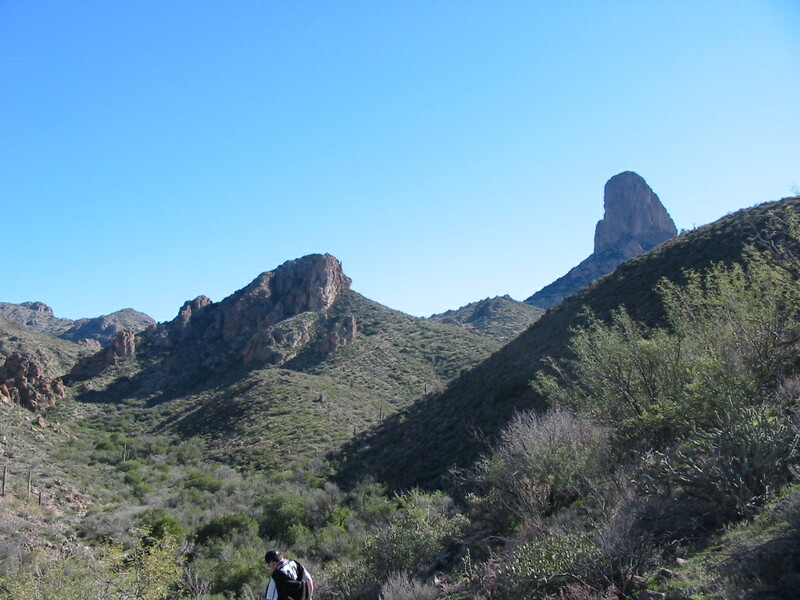 When viewed in this way it is easier to see that the trail would be rather energy consuming at this point.